This is a preview of the piece that I will show as part of the exhibit ”RECONCILIATION” – What does it mean to you? A traveling community art exhibition, opening Sunday August 13th, 2017 at La Ruche d’Art St-Henri. 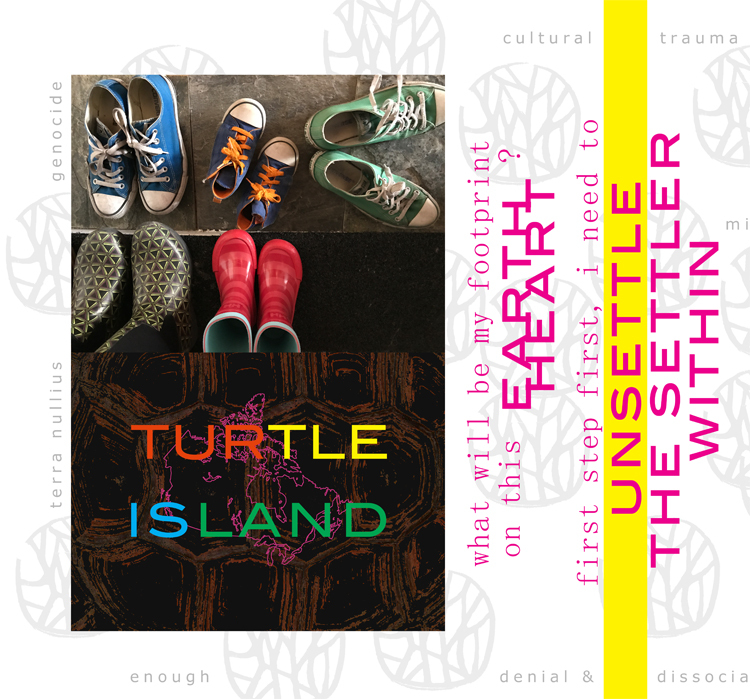 The full piece is a reflection on the process that I have gone through attending a series of 5 Community Listening Circle this summer on Unsettling the Settler Within, organized by the Art Hives Network, the last one being on August 13th. the co-authoring, with other Art Hives’ members, of a support letter (in French only) in favor of the relocation of The Open Door, a drop-in centre providing services to homeless and low-income people in downtown Montreal, since “losing the shelter could deal a considerable blow to the hundreds of Montreal Inuit who live in poverty” – city’s indigenous leaders. Vancouver, BC / Canadian Art Therapy Association (CATA) Conference and Another Space: October 10 to 25.